Make sure everyone knows you've won! Display your new badge on your business website or blog. 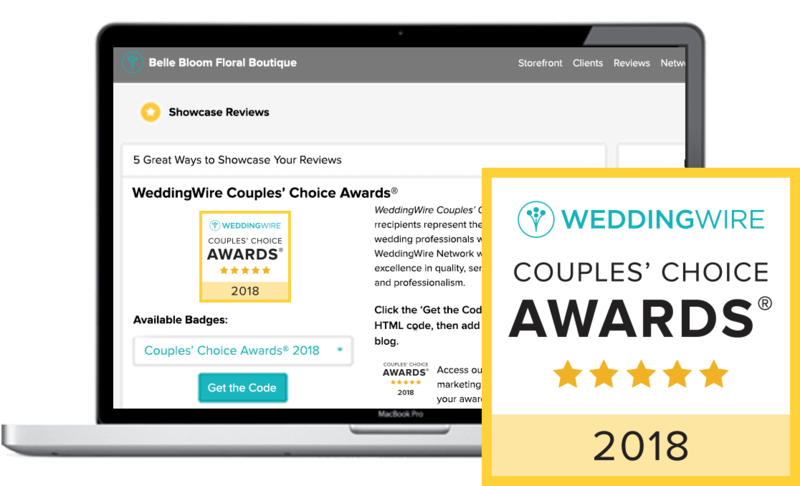 From your desktop, logLog into the Reviews tab of your account to copy your custom HTML code, which will link directly to your WeddingWire Storefront. See where winners are located across the United States and abroad.